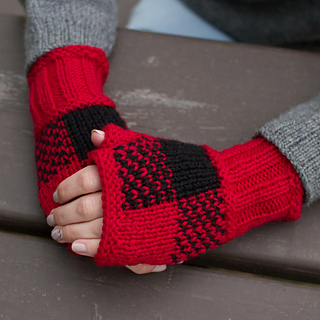 Keep your hands warm in complete Canadian style with this checkered motif that suits both Lumber Jacks and Jackies! 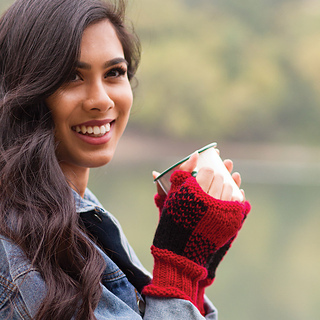 Whether you’re splitting wood, cross-country skiing or taking the huskies out for a run, you’ll want to wear these iconic mittens. 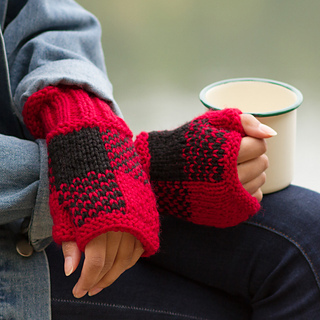 The oh-so-clever mitten construction involves intarsia and slip stitches to create the checkered effect and the cuffs are added later and worked in the round— make them as long or as short as you like. 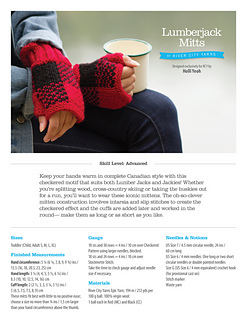 We use River City Yarns Epic Yarn; 194 m / 212 yds per 100 g ball; 100% virgin wool. Our sample features: 1 ball each in Red and Black.